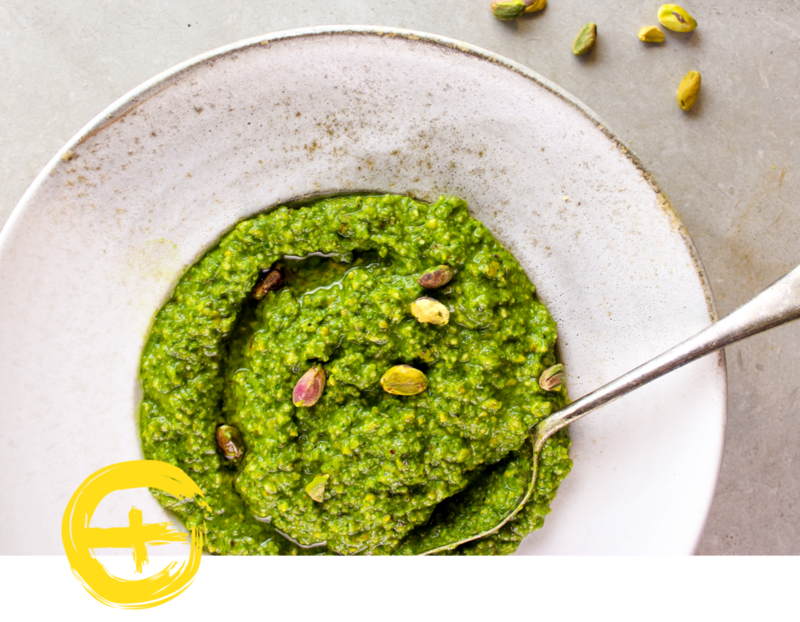 It’s absolutely not an exaggeration to say this is the best pesto in the world. Better than the really delicious pesto from Broadway market. Better than the traditional pesto we had in Genoa. and 100x better than the jars of pesto in the supermarket. Which considering it doesn’t even have parmigiano in it is quite the achievement. It inspired three (yes, three) hikes the weekend after we made it, purely for the ‘homemade pesto on sourdough’ picnic half way through. And it honestly couldn’t be easier to make (in fact, we managed it whole thing in under 3 minutes for our first foray into video last week). Add pistachios & blitz (but not too much) until chopped and combined. Remove and store in a sealed jar in the fridge. Use within 2 weeks. Recipe: Our First Ever Lunch Box!